JOHN H. BARRON III is a member of Barron & Associates, P.C., Of Counsel to DeConcini McDonald Yetwin & Lacy, PC in the Phoenix office. John received his B.A. and J.D. degrees from the University of Arizona, and is admitted to the State Bar of Arizona and the United States District Court for the District of Arizona, as well as the State Bar of Georgia. 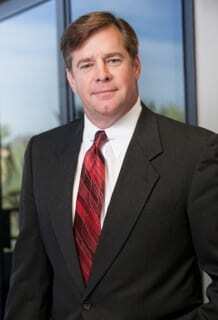 John has served as co-chair and secretary for the Mental Health and Elder Law Section of the State Bar of Arizona. He is an associate editor of the 2000 Probate Code Practice Manual (4th ed.). While practicing in Tucson, Mr. Barron was a special deputy Pima County attorney handling mental health litigation for Pima, Pinal, Yuma, and La Paz counties. Subsequently, Mr. Barron served as a deputy Maricopa County attorney representing the Maricopa County Medical Center Psychiatric Annex with respect to civil commitments and, later, representing the Maricopa County Public Fiduciary in the administration and litigation of estate, guardianship, conservatorship and mental health matters. Subsequent to his return to private practice in 1997, Mr. Barron has established himself as a litigator of matters relating to estates, trusts, guardianships, conservatorships, exploitation and/or abuse of vulnerable or incapacitated adults, and eligibility of continued services for persons entitled to mental health and developmental disability related assistance. In addition to the specific practice of law, Mr. Barron has also been a presenter and keynote speaker at seminars related to probate and mental health law, in-service training programs related to probate, guardianship and mental health law for medical personnel, and was the Instructor for the Arizona Supreme Court Fiduciary Training Program, Decision Making module.